By Ian Pollard in News and Views, Uncategorized on 3rd September 2018 . Finsbury Food Group FIF has acquired 100% of the share capital of Ultrapharm Limited a specialist Free From bakery manufacturer with site in the UK & Poland. Finsbury claims that the acquisition supports the Group’s ongoing strategy to further diversify its product capability into high growth areas. Tax Systems plc TAX enjoyed a strong first half with revenue growth of 14% for the six months to the 30th June.EBITDA for the half year grew by 9% and order intake by 22%. Footasylum FOOT expects growth for the full year to be significantly lower than previous guidance with adjusted EBITDA down to less than half that for full year 2018. Revenue for the six months to the 25th August is expected to show a rise of 18.5% with online revenue in particular up by 28.5%. Trading has however, been impacted by weak consumer sentiment and more challenging conditions in July and August. Delays in store openings and upgrades.have also exacerbated the situation. Biome Technologies BIOM delivered an exceptional start to the year and an outstanding first half enabled it to deliver a small operating profit of £0.2m. in the six months to the 30th June compared to last years loss of £0.2m. Group revenue for the half increased by 47% to £4.4m. Safestyle UK plc SFE announces a comprehensive settlement of its claims against NIAMAC Developments Ltd (trading as SafeGlaze UK) for alleged trade mark infringement, passing off, misuse of confidential information, malicious falsehood and various other matters. NIAMAC has agreed that the existing court injunctions against it will be replaced by formal undertakings to the court. 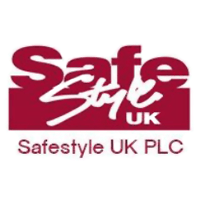 Steps have also been agreed to prevent the possibility of any acts of intimidation or harassment of Safestyle UK representatives and in addition, SafeGlaze UK will also change its trading name. A fairly comprehensive victory, if ever there was one.